Adobe Flash is one of the original sins. It is everywhere and yet it is a huge security risk. Websockets is an HTML5 standard that, for us, provided an alternative to Adobe Flash. For now we support both. The browser will try to use Adobe Flash first, and if it is not present or it is disabled, it will try using Websockets (which are hard-coded in your Browser). I you want to keep using Adobe Flash, you do not have to do anything; things should keep working as before. If your sensors are configured as clients, and you do not want to use Flash anymore, just disable it and the Browser will do the rest. You will be using MetaFlows SSL certificate. Generate a valid SSL certificates that matches the DNS name in step 1 (cannot be self-signed). 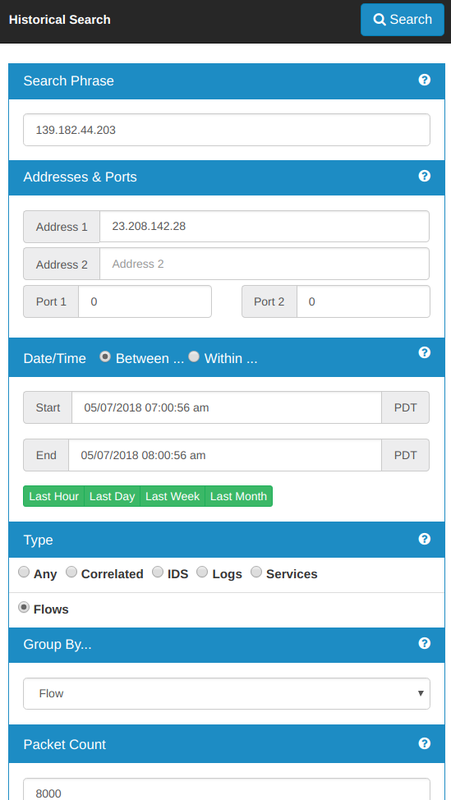 If you do not want to generate a separate certificate for each sensor, you can also buy a *.mysensordomain.com certificate to share by all your sensors. Copy sensorcert to /usr/local/etc/ntop/sensor-server.pem on your sensors’ hard disk. Adding Websockets support was a fairly extensive change in our system; so there could still be some issues. As always feel free to contact us if you have any questions or you see any problems. Thank you for exploring the unknown with us! 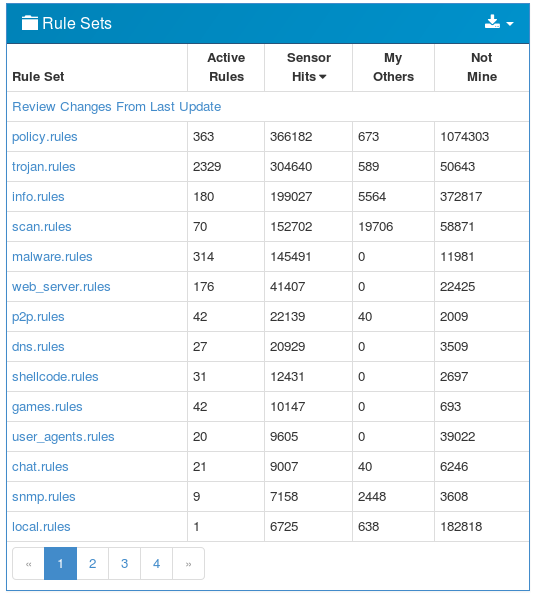 Recently, the Snort Rule Editor as a part of the Rules Management Interface has been updated. This redesign allows for increased flexibility and provides the user with more of a handle on the IPS rules settings. Entering the Rules Management Interface is easy and can be accessed from two possible locations. 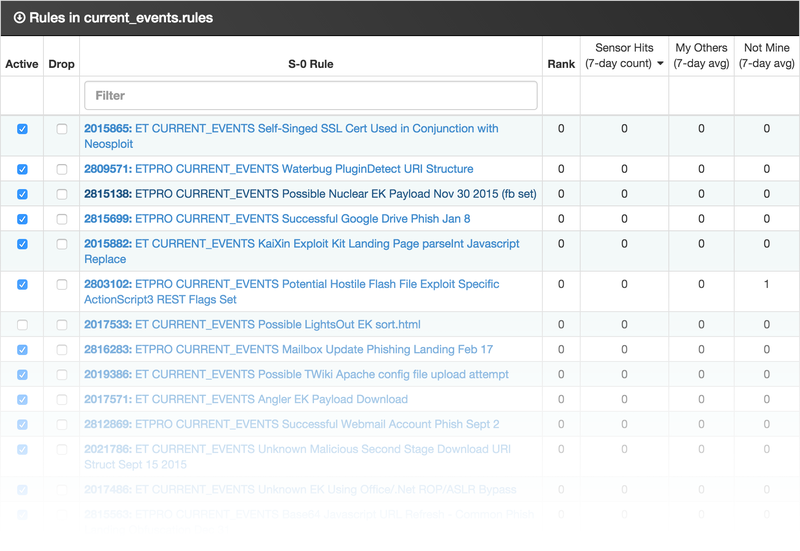 From the View Sensors page, the user can select the Edit Rules link to enter the Rules Management Interface. The user can also navigate to the Rules Management Interface from the Main Menu link. Upon selecting the Rules Management Interface, the user will be prompted to select a sensor from the dropdown and then choosing the Load Rules button. From there, the user will be able to manage the rule sets on a sensor-by-sensor basis. After selecting a sensor, the user will have the option to modify properties of the rule sets, and issue commands to the sensors with the tools on the Menu Bar. In order for the changes made in the rules interface to take effect, commit the changes using the Save button. (Please note that the Save/Cancel options only appear if the rules have been modified.) After selecting the Save option, a window will appear indicating that the changes are being verified. This process ensures that there are no issues with any changes that were made to the rule sets and that the sensor will correctly load the rules. Once the Save process is finished, the user will be prompted to reload the sensor. To update the rule files, select the Get Updates button on the Snort Rules Controls. Most of the sensor controls buttons will be disabled/greyed out, and the Get Updates button will have a spinner icon until the update process finishes. Next, the page will refresh to indicate if the updates were applied successfully. After the Get Updates process completes, select to Save the changes and Reload the sensor configuration for the changes to take effect. The Rule File List portion of the interface displays a complete listing of all the rule sets in the sensor configuration. The local.rules file contains the pass rules (if any) that have been generated using the Tune IDS feature and any rules that were uploaded by the user. In the Rule List, each rule can be enabled or disabled by selecting the checkbox under the Active column next to each rule. If the checkbox under the Drop column next to a rule is checked, the sensor will drop flows that trigger the rule. Although we only recommend it for advanced users, each specific rule can also be edited by clicking on the rule itself. This will open the Rule Editor window, displaying the original rule, the editor, and some statistics that have been collected for that rule. Advanced Snort users can use the Rule Editor to make changes to the content of individual rules. When modifications are made, the Diff section will show changes to a rule since the most recent Save of the rule sets. Pass Rules inform the IDS system that packet matching these rules should not generate alerts. These are helpful for eliminating false positives without having to disable the offending rule altogether. The Pass Rules have system-generated SIDs so that they do not conflict with the original rules that to which they refer. The user can utilize the tuning interface to add pass rules to the local.rules file. Please remember to Save any changes to the rule sets through the Rules Management Interface. For users that want to run a reduced rule set for performance reasons, there is an Automatic Tuning option under the Bulk Edit menu. This option will disable rules that are unlikely to trigger based on our observations across all customer networks. After clicking on the Automatic Tuning option, the changes will be merged with any prior changes that have made, meaning that rules that have specifically enabled will stay enabled. If the user wants to revert to a default minimal set, they should consider first using the Rules Defaults option. Once the Automatic Tuning has processed the rules, it will then automatically fetch the latest updates and disable all of the appropriate rules. To complete this process, the user will need to select Save so that the changes are committed. Full color images and even more detailed instructions regarding The Rules Management Interface can found in the MetaFlows Wiki. After months of data gathering, we turned on a new global correlation feature that complements the existing local multi-session correlation. The aim is to further tighten the net and catch more bad stuff while also decreasing false positives. We now show the ranking as total/global when we display an alert. When the global ranking is missing, it is because that event is only ranked locally and the global portion is unknown. When the total and global rank are the same (like 187/187 in the example below), it means that an event was ranked exclusively using global relevance and it would have been missed by the local analysis. You can see the global ranks by going to the IDS rule management interface. IDS rules listed there will have the current global rank assigned to them for that day (if any). If a domain similar to yours has experienced a significant amounts of high-priority network security incidents involving a particular IDS signature, that signature will receive a positive global rank in your domain. The key here is the word “similar”. The events each customer generates are used to compute a similarity matrix that tells us how similar each network is to the others. Using this information, rather than recommending all high-priority signatures to all domains (we call this simple prediction), we only recommend what is most likely relevant to your domain (we call it predictive correlation). Let us know how this works for you and if you have any questions.